Imagine a career that demands your personal best, working on the frontline of providing pre-hospital care. A career where you're highly trained to help people in need and even save lives. Imagine a career as a paramedic. As a student of paramedicine at Griffith you'll develop the knowledge, skills, values and attitudes that prepare you to work as a paramedic in a range of healthcare scenarios, with a focus on emergency medical response and patient transport. This course equips you for a fulfilling career delivering quality care that can be the difference between life and death. Griffith's Bachelor of Paramedicine is delivered by our highly regarded School of Medicine and has been developed to create confident and capable graduates who have strong skills to succeed in the challenging and rewarding profession of paramedicine. You'll benefit from studying course content which is developed in collaboration with industry experts and builds on industry induction programs, so you'll be well prepared for your new role. Paramedics are in high demand in Australia. Our paramedicine degree is a 2.5 year program, offered only in accelerated mode at our Gold Coast campus. You'll graduate in time for mid-year entry to any Australian Ambulance Service (avoiding the congested entry point in January each year). Integrated with Griffith's School of Medicine, this degree will also put you in a good position to apply for the graduate entry medical degree, Doctor of Medicine. You'll be equipped with vital clinical decision-making, problem-solving and critical thinking skills, and learn about human body systems, paramedic practice, emergency treatment of disease and response to trauma. Our purpose-built simulation facilities at the Griffith Health Centre will give you a hands-on and authentic clinical experience in a paramedicine role, using the same equipment and systems used by Queensland Ambulance Service and other emergency medicine services in Australia and overseas. Plus you'll complete clinical placements in a variety of settings, primarily with the Queensland Ambulance Service. You'll be given the foundation and confidence to develop into a well-rounded professional, ready for the diverse challenges of life as a paramedic. Simulated training puts the pressure on student paramedics. 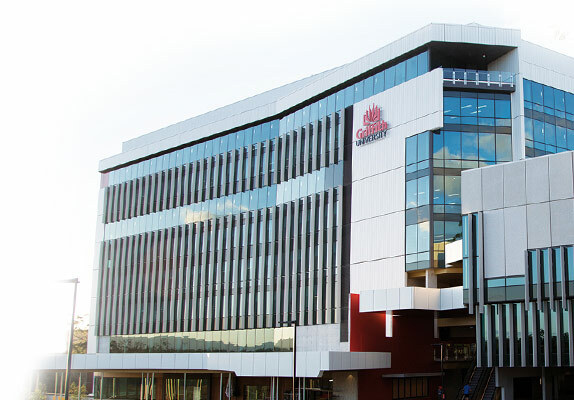 The $150 million Griffith Health Centre on our Gold Coast campus operates over the road from the 750-bed Gold Coast University Hospital and a new 250-bed private hospital. It's a unique environment in which to gain unrivalled clinical experiences. Our industry-leading research in many areas of medical science informs our degree content, helping to produce forward-thinking graduates ready to make their mark in a healthcare career.